Most of our training courses and workshops are on dogs and cats. We collaborate closely with foreign experts with whom we conduct workshops, lectures, and training sessions. We participate in the organisation of a one-year course “Cat: Normal Behaviour and Behavioral Abnormalities”. This is a specialised course devoted to the psychology and modification of cat behaviour. Etovet is also committed to educating children. We are certain that the welfare of animals and their place in society depends on future generations. 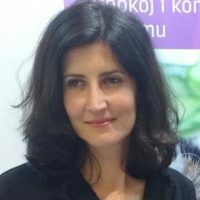 Mrs. Sowińska received a Master’s degree in psychology at the University of Social Sciences and Humanities ( SWPS University) in 2003. Her thesis covered issues related to exploratory behaviour of animals. In 2006 she graduated from the Faculty of Veterinary Medicine in Warsaw (SGGW). At the beginning of her professional career she focused mainly on issues of internal medicine and anesthesia. In 2007 she completed a postgraduate course of studies in Animal Psychology. She has participated in numerous courses and training sessions. 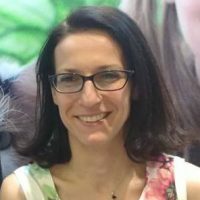 In 2012 Mrs. Sowińska completed her specialisation course in Veterinary medicine of small animals and was awarded the title of Small Animals Specialist. In her private life she is a happy mom (daughter – Matilda) and the owner of three dogs. In 2005 Mrs. Krechowiecka graduated from the Faculty of Veterinary Medicine in Warsaw (SGGW). In 2012 she completed her specialization course in Veterinary medicine of small animals and was awarded the title of Small Animals Specialist. In 2013 she earned the title of Behaviorist completing the “Cat: Normal behaviour and Behavioural Abnormalities” Course Until 2012 the owner and head of the pet clinic in Warsaw Ochota. On a daily basis Mrs. Krechowiecka is mainly focused on animal behavioral medicine and internal diseases including endocrinology. She is also passionate about dermatology and participates regularly in trainings, workshops and congresses from various fields of veterinary medicine. In her private life she enjoys sailing, skiing, dancing and spending time with her son – Mikołaj.